Marcell Nagy in the leading role. Further photographs from the movie Faitless (2005; directed by Lajos Koltai). Gyuri Köves – is a fourteen-year-old secondary school student in Budapest. His parents are divorced and he feels he belongs to nowhere. Although he is of Jewish origin he feels like a stranger among the Jews because he speaks no Hebrew. He is a Jew among the Hungarians and a non-Jew among the Jews. The novel starts with his father being drafted to forced labour. He stays with his stepmother and works in a war factory. He is deported to Auschwitz on a summer day. He lies about his age at the selection of the prisoners, so he is not sent to a gas chamber. 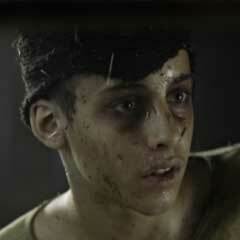 He is transported to Buchenwald, where he becomes seriously ill due to hard work and starvation. He survives and gets back home to Budapest to realise that this is the hardest to survive since he is no longer one of the more than half a million Hungarian citizens, Jews or declared to be Jews, who would never return home. He does not revolt against his fate. He is not infuriated, he does not moralise, does not come to conclusions about the state of the world. He accepts everything dispassionately with resignation and naivity. His personality changes enormously by the end of the developmental novel. He becomes an independent person who is able to act, who does not hide his opinion and at the end of the novel answers the question what he feels about the city he has abandoned saying: “Hatred”. 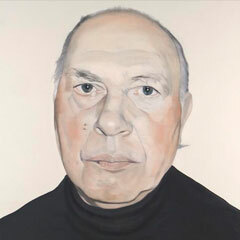 László Fehér (b.1953): Imre Kertész 2005, oil on canvas. Petőfi Literary Museum, Arts Collection. Painted by request of the Digital Literary Academy. won the Nobel Prize for Literature (2002) for his work written in Hungarian. With this act he became the most acclaimed Hungarian writer though he identified himself as part of Central European (especially the former territory of Austria–Hungary) Jewish literature. As a teenager he was taken to Auschwitz then Buchenwald because of his Jewish origin. He took his school leaving exam in 1948. He became a journalist at Világosság (Clarity) in Budapest, but when the paper became loyal to the Communist Party he was dismissed. Then he was a factory worker, and later communication assistant at the Ministry of Heavy Industry. Since 1953 he has been a freelance writer. His first novel (Fateless , Fatelessness ) based on his experiences in the concentration camp had been written for 13 years and was published in 1975. The Auschwitz trauma and consequently the problem of interminable history are in the focus of his thoughts in his other novels and essays. He was awarded the Kossuth Prize and became more and more popular abroad, especially in his chosen country of residence, Germany. The screenplay of Fateless was written by him and the movie directed by Lajos Koltai was shot in 2005. He translated lots of German-language theoretical works and essays into Hungarian (Freud, Nietzsche, Hoffmannstahl, Joseph Roth, Canetti, Schnitzler, Wittgenstein). In November 2012 he declared that he wouldn’t write anything else. He has entrusted his oeuvre collected in the Kertész Archive to the Berlin Academy of Arts. Imre Kertész was known for a long time as a journalist and librettist of musical comedies. Although his Fatelessness, finished in 1973, was discussed by some critics it was rejected by a publishing house and was eventually published only two years later. 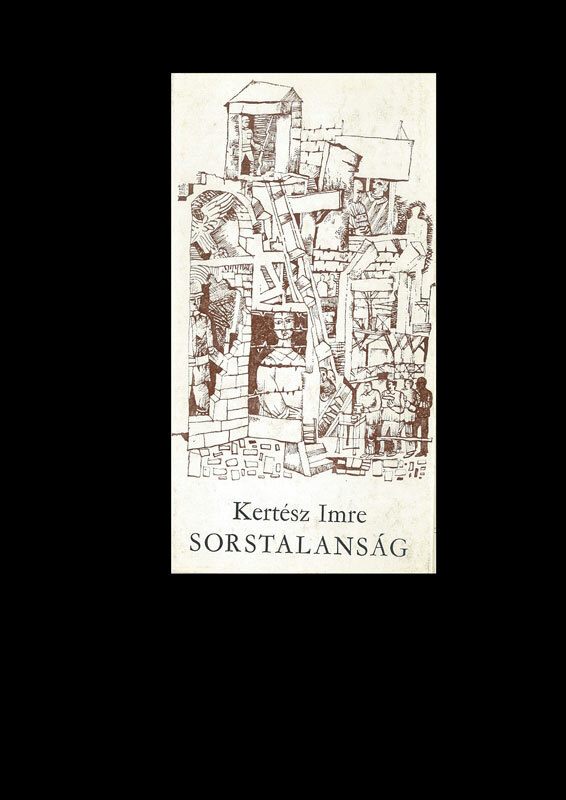 Nonetheless, the Hungarian reading public did not have any reactions to it or to his whole oeuvre. In world literature his experiences can be compared to the works of Jorge Semprún (The Long Voyage), Jean Améry, Tadeusz Borowski, Primo Levi, or the Nobel Peace Prize winning Elie Wiesel. He was influenced by Franz Kafka’s writing style and Albert Camus’s The Stranger.